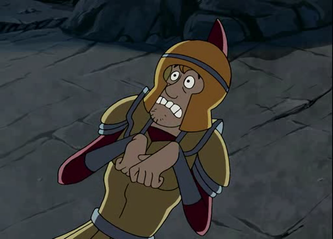 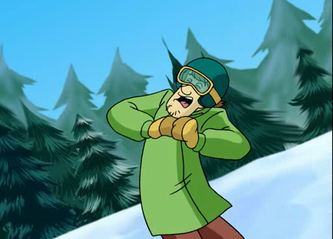 The one that is going to scream from the smallest spider on his back with his famous "Zoinks"! 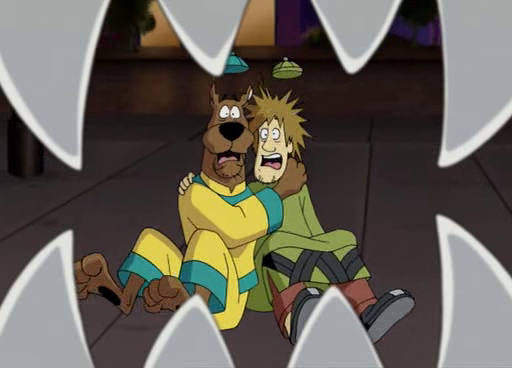 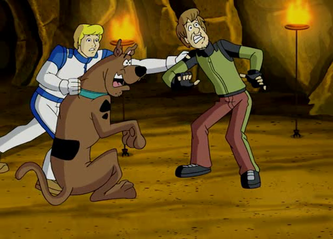 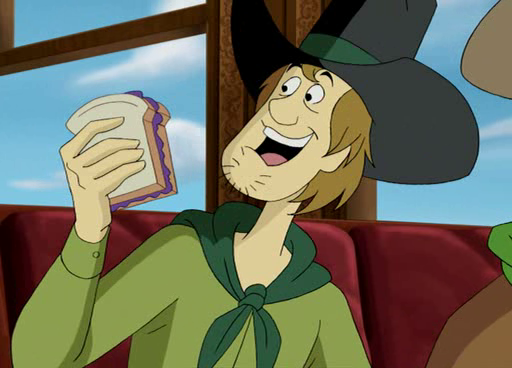 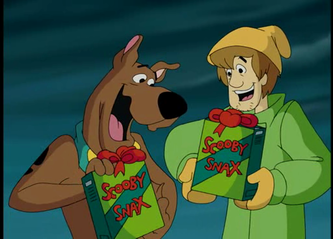 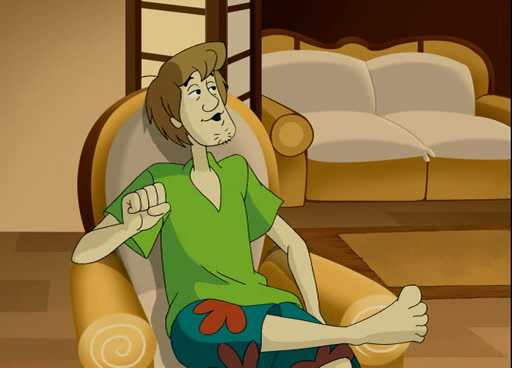 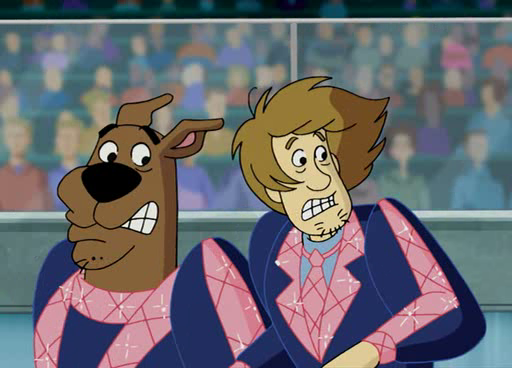 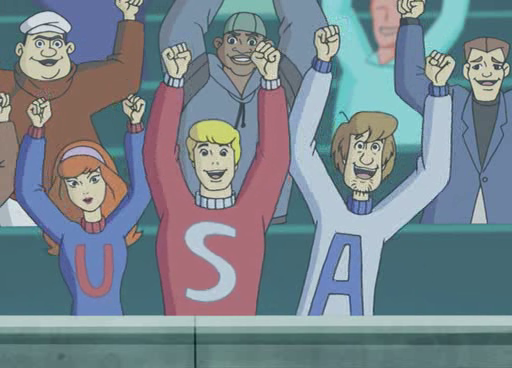 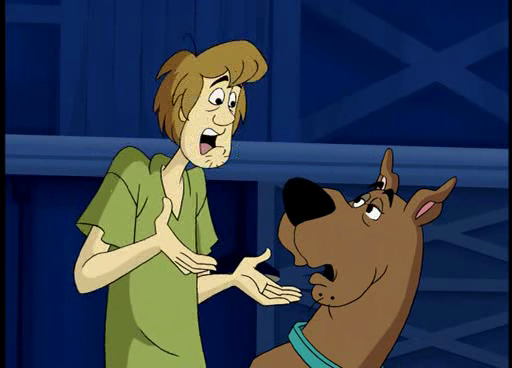 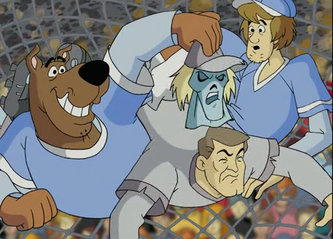 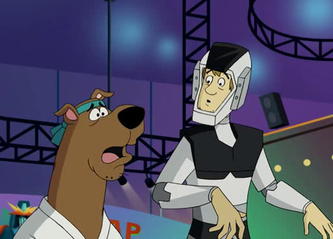 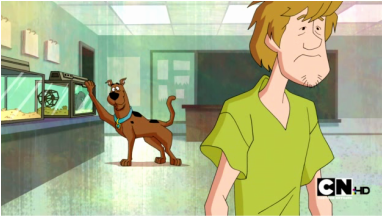 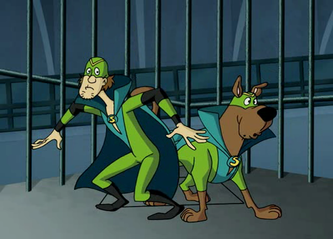 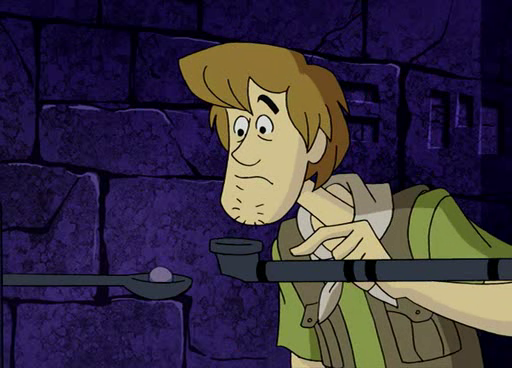 Shaggy is the best pal of Scooby-Doo, and when the gang splits up, Shaggy and Scooby usually go together, as they find the monster before anyone does! 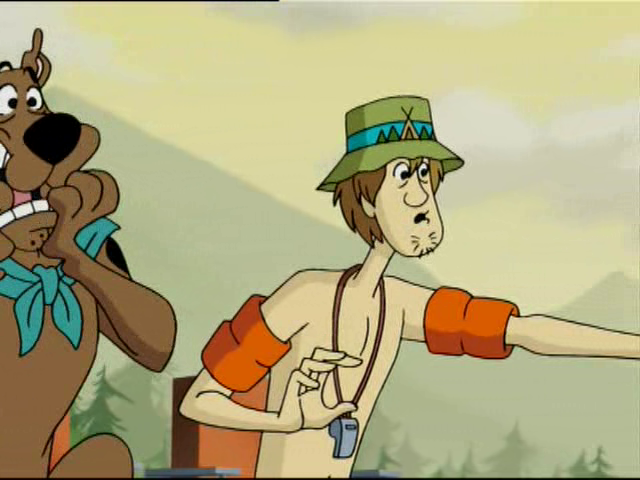 He is very skinny, even he eats more than any other human or animal in the world and he never looses his appetite! 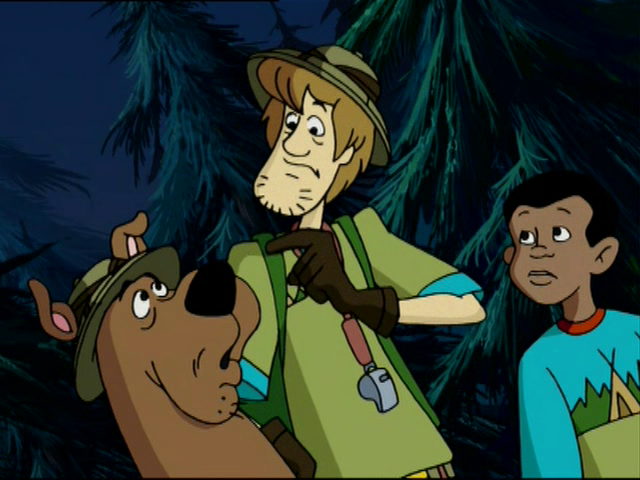 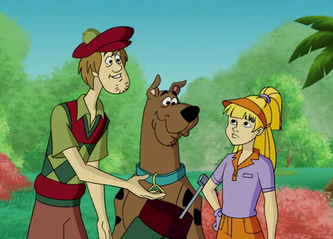 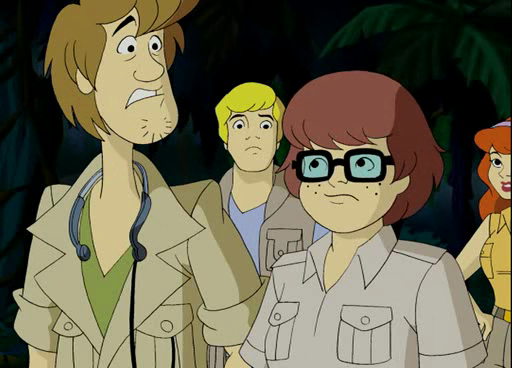 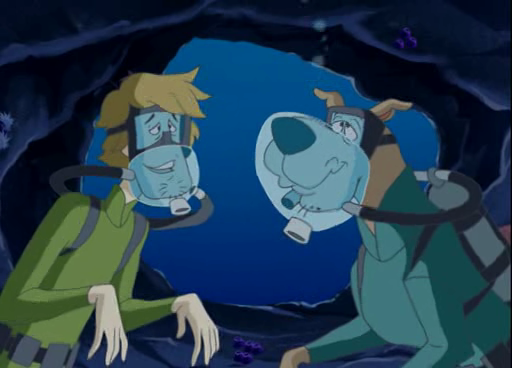 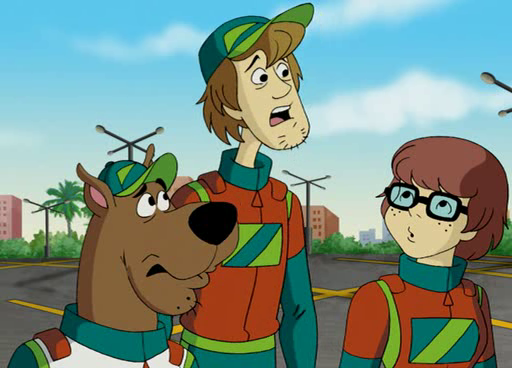 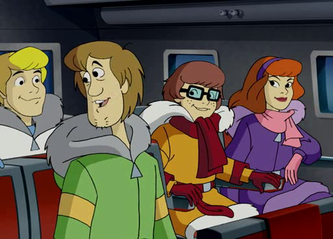 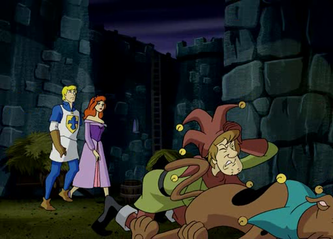 From time to time, Scooby and him went in separate ways from the gang as they found the 13 Ghosts (with Daphne and Flin), as they went camping (in one episode of What's New SD) and even, when the whole gang went in separate ways, they were getting employed, every other day! He always uses "like" in every sentence!